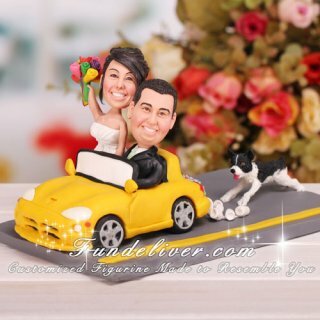 This is a completely customized car wedding cake topper ordered by one of our customers. They would like to customized a transportation cake topper with bride and groom figurine in Dodge Viper and a terrier chasing them. The groom is wearing a normal black suit, white shirt and a light green tie. The bride is wearing her dress, holding a bouquet. Their wedding colors are black and white, but they would like the flowers to be all different color roses. (pink, green, orange, purple, yellow…etc.) The groom is driving their car away, decorated with tin cans and a floral plate on the trunk reading “Just Married”. They are very laid back couple, so they are planning a "fun" wedding, not so much the elegant or traditional type wedding. 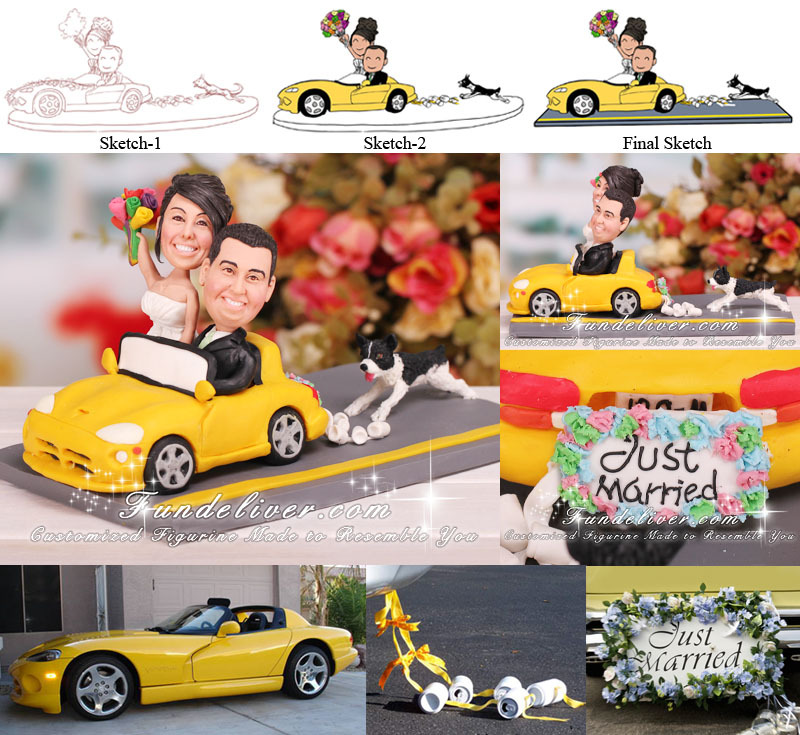 That is why we design this funny car cake topper.